Professor Neal Devaraj (left) and student, research lab. 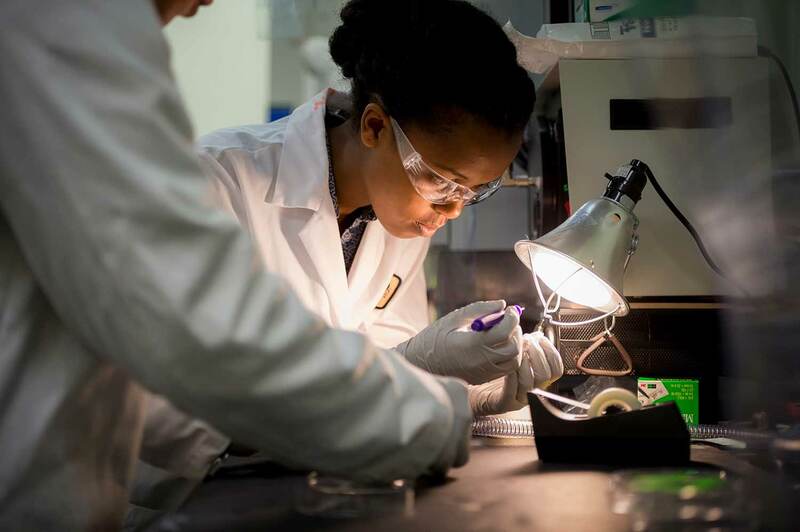 The program is a unique opportunity for undergraduate students to work on interdisciplinary single-laboratory projects or programs. CRES-awarded Ph.D students and postdoctoral scholars are paired with mentors in at least two different divisions to encourage multidisciplinary research. For example, graduate student Jonathan Paden will work with Sheldon Brown, a professor of visual arts, and Darren Lipomi, a professor of nanoengineering, to build material that interface a sense of touch in virtual reality. Following last year’s announcement of UC San Diego’s partnership with IBM Research, Tajana Rosing, a professor of computer science and engineering, Virginia de Sa, a professor of cognitive science, and Laurel Riek, a professor of computer science, are working with undergraduate students to explore interventions for encouraging healthy living. 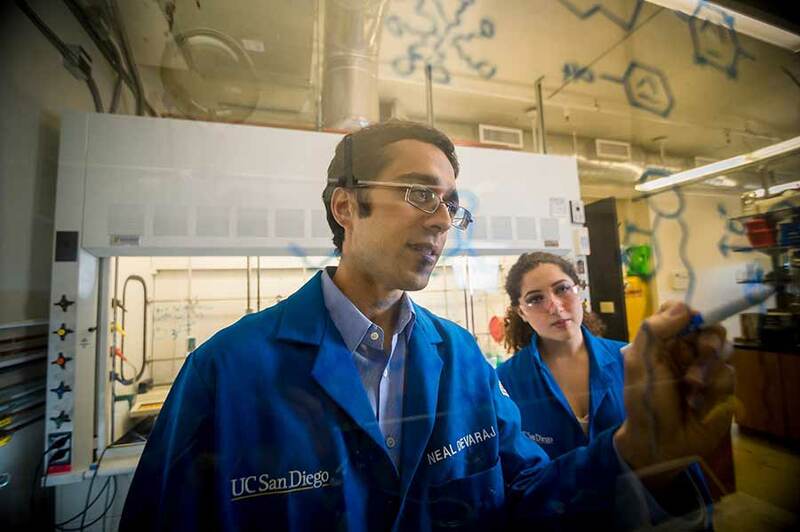 Such multidisciplinary projects in every field of study across campus, Brown said, contribute to keeping UC San Diego among the nation’s leaders in innovative, problem-solving research and scholarship. Preference is given to new applicants, but a one-year renewal is also possible. Undergraduate funding is for one year only. Purposes for which funds may be spent include such things as purchase of equipment, supplies, salary support, conference travel and use of facilities.